OpenSSL is a library that provides cryptographic functionality, specifically SSL/TLS for popular applications such as secure web servers, MySQL databases and email applications. I have tried to perform command “yum update openssl” but I receive “No Packages marked for Update” even though the latest version of tar version has been published. 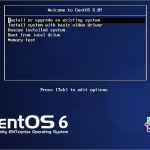 The following steps describe how to install and update OpenSSL on CentOS 6 and CentOS 7. So based on this its still pointed to the old version since hte new one is installed. I thought ok its probably a library issue. So I’m not sure if i’m pointing to the right libraries and or headers or not. And why does the system still believe the 1.0.1 is still there. Should I remove openssl and openssl-develop? and redo the process above again? This works but is incomplete in making it stick! Apache needs to be rebuilt after with openSSL in order for it to be active in PHP. 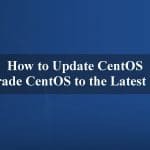 Problem is the openSSL gets reverted to the rpm distributed with cPanel and or CloudLinux when rebuilding apache for those of us that use either, in turn overriding anything you just did! –!! Warning: ‘openssl-devel’ has been modified, reinstalling… !! !! Done reinstalling ‘openssl-devel’ !! I haven’t been able to find one! I followed the steps , it installed the latest version. Even moved the old openssl to other directory and created a link to the new installed version. can you please help in this regards ? I have followed all steps but but for the 4th step openssl directory is not found. Can you please suggest what i need to check for? 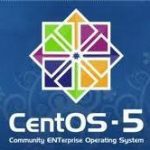 I’m using centos 7 version. If i skip this step and run openssl version then it is gives error of no command found. Hello i have installed update OpenSSL with yours instructions. How can i repair it ? ?